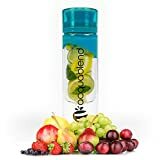 Acquablend ® Premium 24oz Twist Top Fruit Infuser Water Bottle. Create Your Own Naturally Flavored Fruit Infused Water, Juice, Iced Tea & Sparkling Beverages. 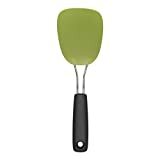 Ideal for Your Office and Home. Gather all ingredients for pesto sauce and give them a few pulses in your processor. If you don’t have a food processor very finely chop ingredients and stir together with the olive oil. Cut cheese into small pieces w/o rind. This amount of cheese made two large sandwiches. Grab your bread of choice (mine being sourdough) and Butter up one side well on four slices. Then flip over each piece and slather on the pesto. You want pesto on the top and the bottom! Then use the pan as a place to build your sandwich. Pile on the brie and put on the top bread piece. Cook these guys on medium heat until the brie is melted and the bread is nice and brown.